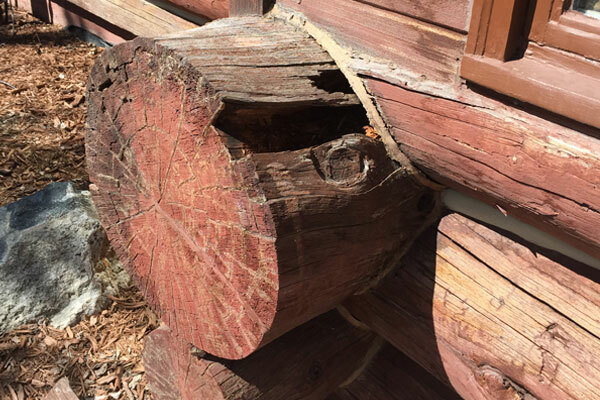 The Log Doctor provides log home restoration and cabin repairs to communities across Dillon, Summit County, Eagle County, Clear Creek County, and more. 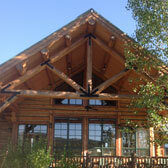 We can help assess and develop a sound strategy to maintain and protect the life of your log home. 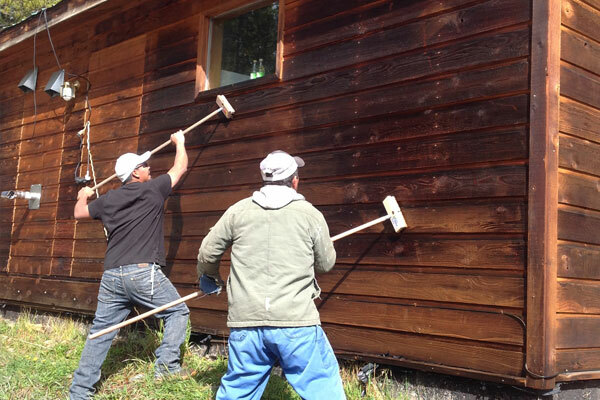 No matter what your log home or log cabin restoration needs in Summit County and surrounding areas; log replacement, log home staining, log home maintenance or log home chinking the Log Doctor is here for you. 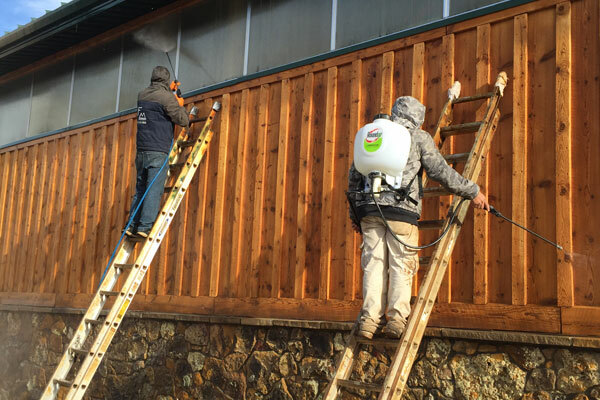 Using special equipment, we blast imperfections and discolorations from your log home’s entire log exterior, with a compressor-driven spray of biodegradable granulated corncob particles we collect on polymer sheeting for reuse. 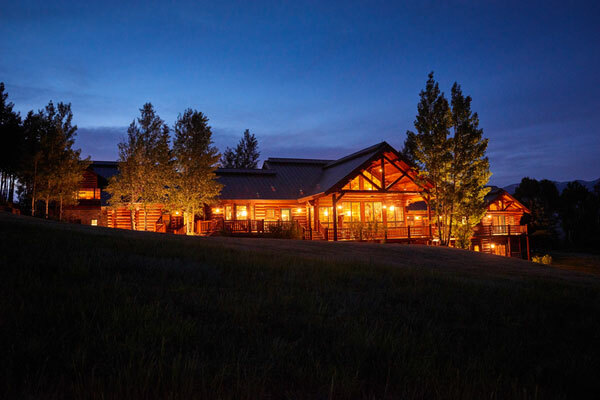 This part of the Summit County log home restoration process returns the underlying wood – whether it’s spruce, pine, fir or cedar – to a beautiful, natural state. 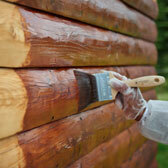 Log Home Maintenance is key to protecting your investment. We blast imperfections and discolorations in your logs. We hand-grind the exterior log surfaces to uniform smoothness. We remove and repair problem wood as needed. We use materials only from premier manufacturers. Chinking assures a proper seal between the log joints. I hired The Log Doctor to refinish my badly weathered log home last September and I’m very pleased with the results. My home looks new again. From the corn cob blasting, through grinding, staining and chinking, their employees were considerate, thorough, hard-working, pleasant, and punctual, getting the job done as promised. They not only delivered what they promised, they clearly care about the quality of their workmanship. 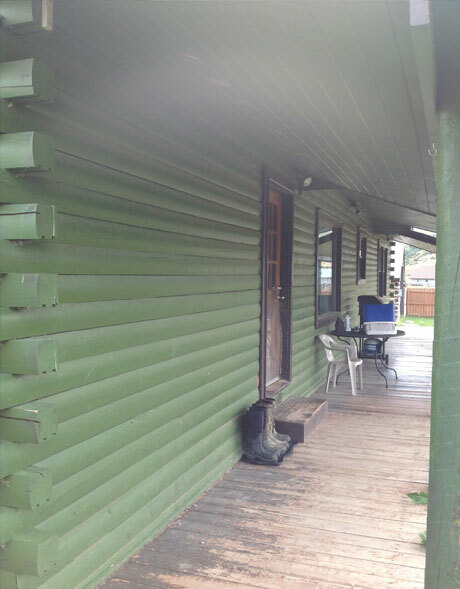 The Log Doctor did a wonderful job staining, re-chinking and replacing log siding on my log home. I was so impressed with the work that was done that I wanted other Summit County residents to know about this terrific contractor. He used top-grade materials and his crew did a thorough, professional and timely job. 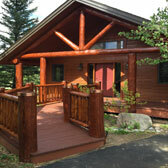 The Log Doctor restored the exterior of my Colorado log home. Rudy and his people did a tremendous job. The job was done professionally, on time and on budget. I would highly recommend The Log Doctor for your log home project. Rudy and his people were highly professional and the end product he delivered was spectacular.